Yesterday I went in to school to start setting up my classroom for the new year. When I stopped in at the office, my principal informed me that I would have an English Language Learner from Saudi Arabia who speaks no English. I have had ELL students in the past but this will be my first experience having a 4th grader with zero knowledge of the English language. My mind started racing, searching for ways to help her acclimate to our classroom, a new school, and new country. I know I will need to label items around the room and I know Google Translate will be a lifesaver, but what am I going to do to make her a part of our classroom and school community? As I was pondering this today, my mind turned to Gynzy. With the help of Google Translate, the snipping tool, and Gynzy, I think I have a solution. I truly hope adding Arabic to my slides on the first day, will help my student feel welcomed into our class and helps her start to tackle the English language. Now, how will I teach her the basics of the English language? It’s time to use the Gynzy tools I never thought I would use with my 4th graders. Gynzy’s alphabet will be the first tool I use to teach her. When a student clicks on a letter, the letter’s name is spoken to help connect the visual letter to its name. 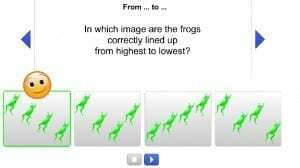 There are many options under settings, which gives me the possibility to meet the needs of my student. Instead of overwhelming my student with all the letters, I can start with just a few. I can also select capital or lowercase letters and I can choose to have them presented randomly or in alphabetical order. The image below shows all the setting options. I don’t plan on sticking my student in front of a computer all day to learn English but this tool will help build her language background. In looking for lessons to start with, I went to Gynzy’s Lesson Plans. Gynzy is constantly adding tools and lessons to their site. If there is not currently a lesson on a topic you are teaching, you can use an existing lesson as a template to create your own lessons. Letter K is an example of one of their lessons. This lesson could be found in the Kindergarten and 1st grade Language Arts Lesson folder. Read the article ‘Teaching letters with the use of this lesson plan‘ to learn more about this lesson. Once my student has had a chance to learn the English alphabet, I can use the Letter K template and change it to the letters she is struggling with. During whole group lessons, my student will have to listen to my voice without understanding what I am saying. Using Gynzy’s lessons with sounds will allow me to select the content and my student to select the pace of her instruction. Gynzy’s lessons with sounds also provide another model of the English language. The Arabic language has many different sounds than the English language. 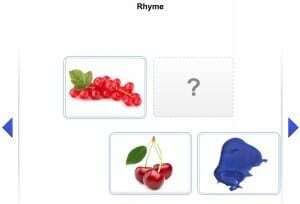 Therefore, the Rhyme with Images tool will allow for her to hear the variety of sounds in our language while providing pictorial cues. Another language tool I would like to use is the Silent E tool. What I like about Silent E is not only is it teaching her about the silent e but it is also saying the words, and providing more auditory and visual cues. In teaching math, sounds can also really valuable for her. There are currently four Math activities with sound; Counting How Many, Counting by Order, the Correct Order, and Comparing. Since the Arabic language reads from right to left, I think the Correct Order tool might help reinforce the “left to right” English concept. This summer Gynzy also added the option for teachers to add their own sounds. I can see how adding sound to Word Dictation with weekly spelling lists would benefit all my students, not just my ELL student. Since I know Gynzy is always open to suggestions, once I start to learn the needs of my ELL student, I can ask Gynzy to add sound to other tools. If their past follow-up is any indication, I’m sure they will do their best to improve their tools. Thanks Gynzy for helping me meet the needs of all my students!